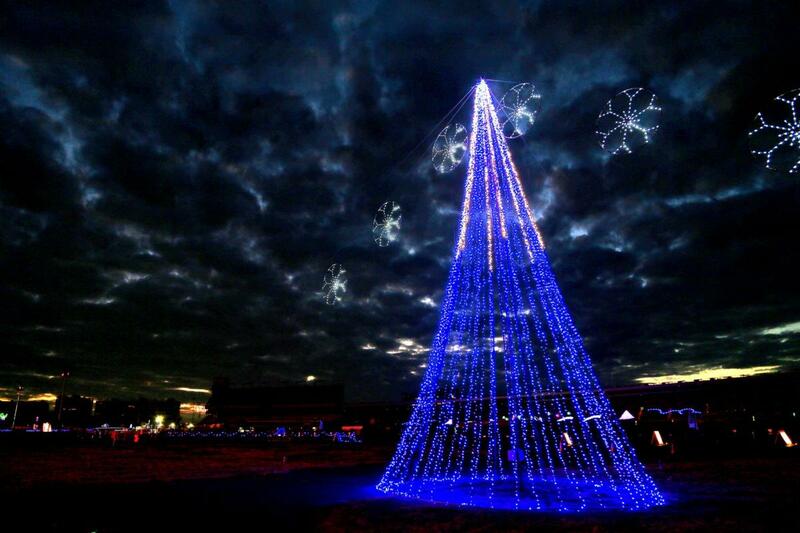 As the holidays draw near, Charlotte Motor Speedway is revving up for an eye-catching holiday light show spectacular. Speedway Christmas Presented by Disconnect and Drive returns Sunday with a remarkable 3.5 million lights spanning a 3.75-mile course throughout the speedway, infield and concourse - which will surely rev up America's Home for Racing with an extra dose of Christmas cheer. As a kick-off to Sunday's opening night, here are 10 things attendees must see while enjoying the Speedway Christmas festivities. EGG NOG JOG 5K: 'Twas the night before Speedway Christmas. The annual Egg Nog Jog 5K fun run/walk returns on Saturday to kick off the holiday events at Charlotte Motor Speedway. A record setting number of runners are expected to take part in the highly illuminated affair. During the event, participants will don everything from holiday sweaters to Christmas lights and everything in between. 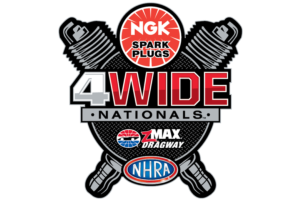 Stay for the post-event fun as fireworks presented by NGK Spark Plugs will illuminate the night sky. FOX 46 MOVIE NIGHTS: From Thursday-Sunday of each week, cozy up and kick back with some of your favorite Christmas-themed movies as Charlotte Motor Speedway's giant Speedway TV becomes a drive-in theater. Holiday classics including "Home Alone," "The Santa Clause" and "The Polar Express" are sure to brighten up the night. S'MORES MAKING: Who wants some more s'mores? Gather around the campfire and make delicious s'mores. S'mores-making kits are available in the Christmas village or feel free to bring your own supplies. BETHLEHEM VILLAGE: Take a trip back in time with a realistic look at the Christmas story nativity scene located just outside of the Christmas village put on by local church volunteers. PHOTOS WITH SANTA: Santa Claus will be in town at Speedway Christmas until Dec. 24 in the Christmas village for pictures with children. Children can make sure they are on the jolly old man's "nice list" and get their wishes in before the big night. FUN FOODS AND VENDORS: Get that much needed Christmas shopping checklist complete as dozens of artisan vendors will be onsite displaying their fine products in the Christmas village. A wide range of foods from mini donuts, Greek fare, funnel cakes and barbecue will be available for purchase. There's something for everyone. OVERLOOK: Back again for a second year, attendees will have the opportunity to park their vehicles above Turns 3 and 4 and overlook for incredible photo opportunities as they'll see an exclusive view from above the lights. Look for the directional signage as the course heads through the concourse. SPEEDWAY CLUB: Take the family out for dinner in The Speedway Club, where you'll enjoy a one-of-a-kind dining experience overseeing the speedway and its breathtaking light show. The Club is open to the public, except for Thanksgiving and Christmas brunch. Reservations are required during Speedway Christmas. 50-FOOT FERRIS WHEEL: Experience one of the best views of the lights from the new 50-foot Ferris wheel located in the speedway Christmas village. Rides cost just $5 per person and are available each night the village is open. MUSICAL ACTS: Enjoy the sounds of Christmas as local bands, choirs, and carolers perform for guests in the infield Christmas village Friday and Saturday evenings. Fans can buy tickets to the Speedway Christmas lights show, which start at just $20, by calling 1-800-455-FANS (3267), or visiting http://www.charlottemotorspeedway.com/tickets/. Fans are encouraged to register for Saturday's Egg Nog Jog 5K by visiting http://eggnogjog5k.com/register/. Speedway Christmas Tickets are also available at the speedway ticket office.